What Can You Add to This Thanksgiving #Golf List? Did you ever notice how many times you give thanks during a round of golf? From amateur players right up through the ranks of the PGA Tour, the golf g-ds are summoned at least once during a round for something miraculous to happen. Here is a short list of why we give thanks before, after, or during, a round of golf. Hitting a decent drive at the first tee - Probably the first time during a round of golf where you might look heavenward and pray for a great result. A Member's Bounce - Ever hear the golf ball thunk against a tree and wonder where it might land? I don't have to beg my spouse to play golf - thinking about Everybody Loves Raymond and all of the other spouses who need prior approval, I am happy to report that my husband loves the game at least as much as I do - no bribery needed. An accurate GPS - Important for times when you can't find the 150-yard marker and start to feel lost on the golf course, having a golf caddy in the palm of your hand during a friendly round helps not only you but the rest of your foursome have a great time. Great weather day - You try and plan for spring temperatures but Mother Nature doesn't always cooperate. Why do you give thanks? Let Golf for Beginners know on Twitter @Golf4Beginners and on our Facebook page. What Are The Best Golf Course Greens In 2013? Reader's Choice! Although your choice of golf course can be as subjective as your choice of club, there are certain greens that top most people’s lists of the very finest in the world. Golf for Beginners, in association with Golfplan Insurance, takes a look at five courses everyone wanted to play in 2013 and who considers them to be the best of the best. One of the very oldest courses in the world, The Old Course at St. Andrews has been pivotal to the development of the modern game, including the standardization of the 18-hole course. The twenty-eight Open Championships that have been held at St. Andrews to date make it the most featured course of the competition currently playing host to the event every five years. Known the world over for its iconic large double greens, this superb layout features seven greens that are shared by two holes. Most famously of all lies the Swilcan Bridge, which spans the 1st and 18th holes – everyone who has ever played the final hole has walked over this 700-year-old landmark. The Old Course features 112 bunkers, each individually named and with their own unique part to play in the course’s history. A true landmark of beauty and tradition on the golfing circuit. Host of The British Open Championship no fewer than nine times (most recently in 2008) and most recently this year's choice for The Senior Open, Royal Birkdale is one of the finest courses the UK has to offer. It’s richness of great golf holes provides an incredibly fair and enjoyable challenge for golfers of all abilities. The 12th, a 183-yard par-3, is as natural a hole as you are likely to come across in Britain. From a raised tee, you must avoid four deep bunkers before resting on a narrow green nestled at the foot of several sand dunes. The longest hole on the golf course is found at the 15th, a par five that features more bunkers than any other hole on the course. The level of challenge the Royal Birkdale faces can heavily depend on the weather, with a windy climate providing many a torrid time on the enormous 18th - a heavily bunkered, 476 yard par four. A truly stimulating and challenging course. Probably most famously known for Tom Watson and Jack Nicklaus’ famous ‘Duel in the Sun’ at the 1977 Open Championship, the Ailsa Course at Turnberry is one of golf’s genuinely iconic courses. 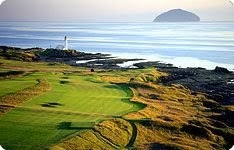 Featuring a magnificent lighthouse which looks out over the sea, the green runs along the Firth of Clyde. The par-70, 7,217 course is one of golf’s legendary venues. The opening three holes provide a stiff opening challenge, particularly if the weather is against you. The following seven holes provide a remarkable backdrop of coastal scenery alongside some very demanding play. Breathtaking scenery, a challenging, traditional course and an awe-inspiring history make the Ailsa Course one of the most popular golfing destinations in the world. Host of the annual Masters Tournament since 1934, Augusta National is undoubtedly one of the most well-recognized and revered courses in the United States. Home of golf’s elite, Augusta is considered the masterpiece of the legendary Bobby Jones. 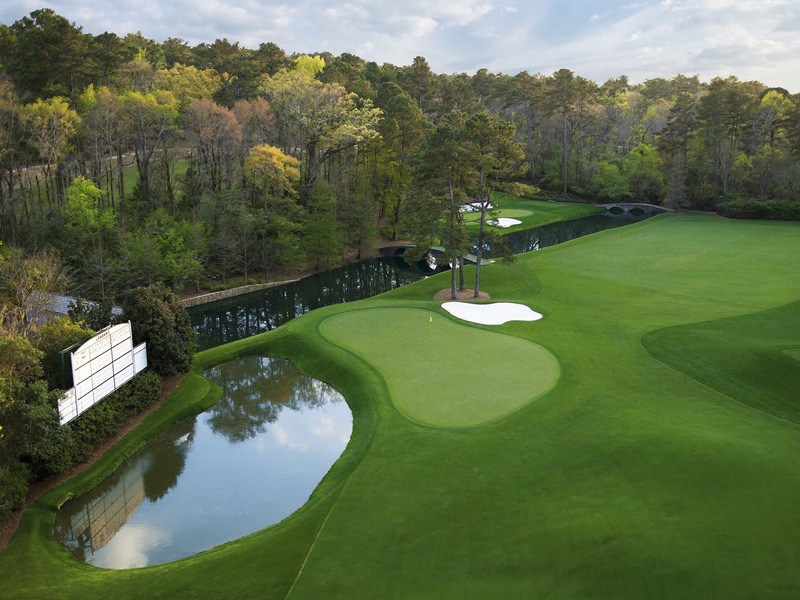 Every hole on the course is named after a tree or plant that grows on the hole, including Magnolia, Pink Dogwood, Flowering Crab Apple and Azalea. Perhaps most famous are the 11th, 12th and 13th holes which have become known as ‘Amen Corner’ for their infamous levels of difficulty. White Dogwood, the 11th hole, is a 505-yard par-4 that has instilled fear into most that have played it since the tee was moved back 15 yards several years ago. Traditional, challenging, sometimes controversial and always magnificent; The Augusta Course is a true jewel in the crown of golfing circuits. 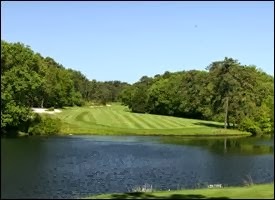 Pine Valley Golf Club is frequently lauded for it’s consistent level of challenge and conditioning on each hole, requiring thoughtful placement of the ball from tee to green. Amongst its many accolades, Pine Valley has arguably the finest collection of par-threes and par-fives in the world, long priding itself as one of the toughest challenges in all of golf. In possession of a sense of mystery within golfing circles due to its private nature and difficulty to find, it nonetheless remains one of the most well-respected courses in the world. If you are planning a trip to either St. Andrews, Augsuta National or to any other golf course abroad, Golfplan’s comprehensive insurance coverage can include overseas equipment hire if yours goes missing whilst in transit overseas. Do you agree with our blog? Which are your favorite golf course greens? Voice your opinion on Twitter @Golf4Beginners and Like on Facebook. A trophy is a reward for a significant achievement. Although there are many events played during the season, in the game of golf, there are several standout trophies which every professional player wishes to add to his viewing cabinet - the four Majors and the FedEx Cup. Although all wins are accompanied by a large check, it is the trophy which is raised high above the head which proudly displays the victory which preceded the struggle. This golf blog was sent in by Dennis Phoenix, who asked if Golf for Beginners readers would be interested in a short history lesson on the U.S. Open Golf Trophy. The answer was, of course, we're always learning! Enjoy. Dennis Phoenix is an avid sports fanatic and human resource specialist. He enjoys writing on the topics of business and sports history for AbleTrophies. For Dennis, the perfect weekend includes watching sports and mountain biking. Two professional golf trophies have namesakes. For example, there is the Wanamaker Trophy that is awarded to the winner of the PGA Championship and the Claret Jug for the British Open. The Masters Trophy is just that but it accompanies the famous Green Jacket. But this is not the case with the U.S. Open Trophy even though it has been in existence since 1895. This makes it the oldest trophy of the four handed out during golf’s Grand Slam. The trophy is a rather simple design. It is a silver jug set on top of a matching base. From each side extends an ear shaped handle. At the top of trophy stands a small winged female figure on the cup’s lid. From the top, the trophy tapers until it meets the wide base. On the barrel of the trophy the name of the winner is engraved in block type. The opposite side displays an engraved golf scene. 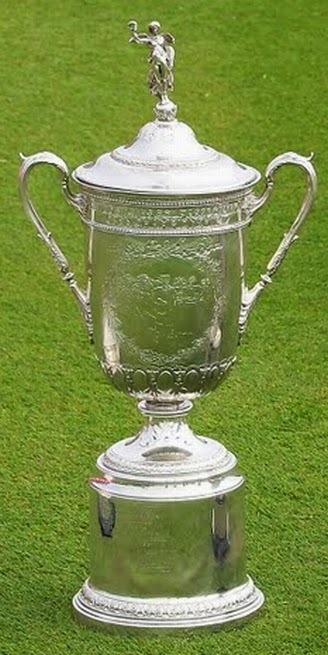 The first US Open trophy was awarded in 1895 at Newport Country Club in Rhode Island. The first golfer to claim the prize was Horace Rawlins from Britain. Along with the trophy, he took home a prize purse totaling a whopping $150. As was the custom at the time, Rawlins had the honor of displaying the trophy at his local club for one year and returning it for the next U.S. Open. In the opening years of the golf tournament, the trophy was regularly won by the more experienced British golfers. But that changed in 1911 when native born John McDermott took home the trophy. Since that time, the trophy has been claimed by Americans on a regular basis. In 1946 the original trophy was destroyed in a fire while on display at the Tam O’Shanter country Club near Chicago. The current trophy, which is closely modeled after the original, is no longer kept by the winner until the following tournament. Since then, the US Golf Association has taken steps to ensure the trophy’s continued safety. In 1986, The U.S. Open Trophy was ‘retired’ and is currently housed permanently in the USGA museum and Arnold Palmer Center for Golf History in Far Hills, N.J. 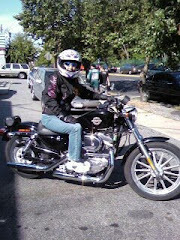 It is brought out for promotional events and displayed at the US Open. Instead of getting possession of the original for a year, the US Open winner is awarded a replica of the trophy which they get to keep. As an odd 'aside', the winner is then responsible for having his own name engraved on the trophy. Three players have won the U.S. Open four times each. They Include Jack Nicklaus, Ben Hogan, and Bobby Jones. The last of these was Jack Nicklaus in 1980. More recently, golf’s most prominent player ever, Tiger Woods, has claimed the trophy three times. His most recent US Open victory was back in 2008. The youngest champion was John McDermott who won the trophy in 1911 at the age of 19. You may remember his name from earlier. He was also the first American to win the US Open. The oldest champion is Hale Irwin who took the prize in 1990 at the tender age of 45. The most consecutive U.S. Open Championship starts was forty-four, by Jack Nicklaus - he competed in every Open from 1957 to 2000. This year marked the U.S. Open’s 113th tournament. The tournament has been cancelled a total of five times in its history, twice for World War I and three times for World War II. If you would like to send in an interesting, and opinionated golf blog for print on this Golf for Beginners website, please forward an email with details to Stacy: golfforbeginners@aol.com. You can also contact us via Twitter @Golf4Beginners and on our Facebook page. Golf for Beginners has examined the best drivers, hybrids and irons for newer players but it is the putter, aka the flat stick, that can shave the most strokes from your scorecard. Many websites have placed these mighty clubs in the hands of amateur golfers and, with that in mind, we have shortened that list to three putters we believe to be more effective for a newbie. What constitutes a good putter for a beginner golfer? There are flat blades, mallets with high MOI and hybrids with companies from boutique (Axis 1) to large (Titleist, Odyssey and Cleveland) touting that their putter is the easiest to use. You will also hear some players say to try a variety and buy the putter that just "feels right." A good beginner putter should be weighted so that it feels as if it swings freely in your hands - balanced...in other words, you should not have to grip it tightly nor guide it back and through. 1. 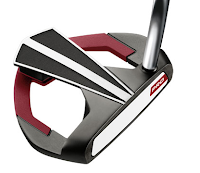 Odyssey line of putters - The Two-Ball putter is a personal favorite of mine and I have tried many putters! The Odyssey Two-Ball series gives me the line of sight that I need to look over the golf ball, balance, aim and shoot with confidence. For an updated version, Odyssey has come out with the White Hot Pro D.A.R.T. putter (Direction And Realignment Technology) - "golfers will focus their eyes on the three white lines (which look like the fins of dart) making sure all three point to the center of the ball." Speaking of confidence, keep this word handy in your golf dictionary at all times: putting is built on your certainty of getting that tiny ball in the hole in the least number of strokes. 2. Bobby Grace AMG Fat Lady Putter - The fat lady sings quite well from within five feet, as stated by testers in Golf Magazine's Hot List. Having problems with straight back-straight through shots? 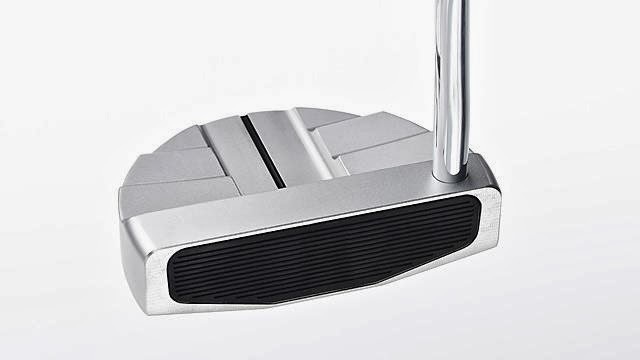 Beginners have found this putter to be "automatic" on short putts. 3. TaylorMade White Smoke Big Fontana - An easy-to-aim mallet with a new design for TaylorMade based on a study which revealed that "65% of golfers fail to square the putter-face to the target from twelve feet." Smooth feel when pushing the ball to its target. As a side note, Golf for Beginners reviewed the Taylor Made Rossa Corza Putter in the past and happened to notice it on or near the top of several lists of top putters for beginners (Leaderboard golf for example) so, if you happen to find one and can try it, keep in mind as well. Which putter do you currently have in your golf bag? Voice your opinion on our Golf for Beginners blog, on Twitter @Golf4Beginners and Like us on Facebook. This is a subjective list of putters. Golf for Beginners makes no claims that any of these putters will help your game and lower your handicap. Most golf fans hear about larger endowments such as PGA Tour Charities and First Tee programs but there are also smaller philanthropic concerns which may never get the same scope of visibility - in this case a local Myrtle Beach foundation called the Pardue Children in Need Fund. During the week in which I played in the Mystical Golf Tournament in Myrtle Beach, I had the opportunity to speak on several occasions with Claude Pardue, CEO of DG Golf Management and very passionate spokesperson for a charity which "Provides Joy to Children with No Joy in Their Lives." The game of golf gives back in many ways through charities; in the case of the Pardue Fund, Claude (in association with The Waccamaw Community Foundation) raises money through his pro-shops and has a golf tournament the Saturday before Christmas - this year on December 21 (chances are that the weather in Myrtle Beach will be great). Man O War and the Wizard golf courses close for the event and every dime that is taken in goes directly to the kids. Which kids are going to be helped? Children that suffer from emotional and behavioral issues such as depression, anger issues, suicidal tendencies and manic issues among others, mostly caused by abuse and neglect. "The state provides for the vast majority of their care such as housing, food, school, treatment, meds but nothing else," says Pardue. These kids for the most part are assigned by the court system to homes such as the Lighthouse care facilities and the Seacoast Academies. "Problem is," Claude continued, "that with what they have been through, they feel as though they were placed in prison." Every year, the Foundation has a Christmas party with tennis shoes and clothes given as gifts to the kids. Pardue's team has also started athletic teams at the Macon and Augusta, Georgia facilities and his staff gives golf lessons once a week to boys and girls in SC during the summer. Claude says there are eleven total facilities in South Carolina and Georgia. "Every year, I am very sad that we are only providing for four of them." One of the most fun things on the agenda is the annual show at the Alabama Theater. This year, superstar Grammy-award-winning country music group Larry Gatlin and the Gatlin Brothers have agreed to perform - Monday night January 27, 2014. How can you help these kids in need? You can buy tickets to the Gatlin show, contact MysticalGolf.com directly or you can email me and I will be happy to forward your notes directly to Claude Pardue. "By law and because it is right," Pardue said, "we cannot publicize anything that goes on in these facilities. This is to protect the kids because of the sensitive nature of what they are going through. Because of this, we do not have a brochure of any kind. 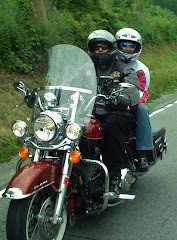 We rely on word of mouth and really good people that have gotten involved with us in our cause." Voice your opinions on Twitter @Golf4Beginners and LIKE Golf for Beginners on Facebook Comments and questions appreciated below on this Golf for Beginners blog. Is there a Secret to Getting Invited to The Masters? 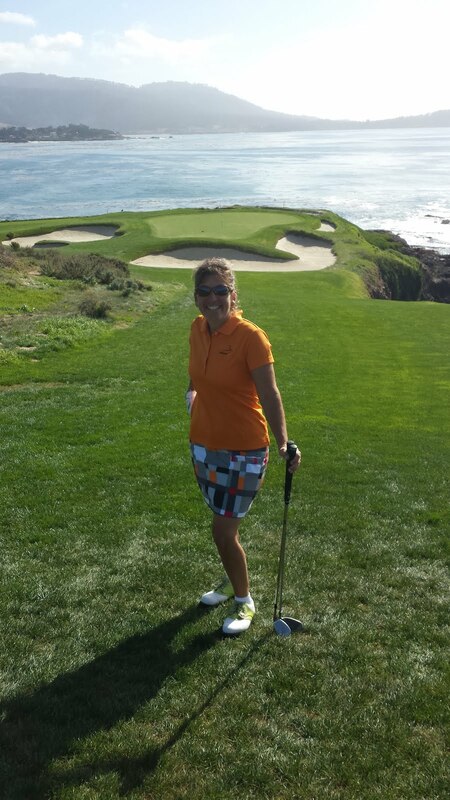 Guest Golf Blog Written by Mary Roberts. See below for bio. Being invited to The Masters is something I cannot wait to cross off my bucket list! Year after year, my husband and I have entered the lottery (through random selection process) to get tickets and, every year, we promise each other that we will be just as happy if we only get invited to the practice rounds… unfortunately, every year we come up empty handed and broken hearted. Just a note - 2014 Masters Tickets are already sold out - according to Masters.com, "the ticket application process for the 2014 Masters Tournament has concluded. All tickets were sold in advance by random selection and no additional tickets are available." - Bah, humbug! Playing golf is our Sunday ritual: it’s our time together to enjoy the weather, each other and a good round of golf. One Sunday I finally got the nerve to run up to that lucky person I spotted on the golf course, this time sporting a Masters golf polo, and asked him just how did he do it...what was his secret to getting invited to the Masters?! As I stood confused, I looked around and noticed he also had a Masters golf bag, Masters putter cover and a Masters golf towel sitting beside him in the golf cart. He was totally decked out. He noticed me checking out all of his Masters gear and said, “Oh! I guess I do know a secret that may help you!” He told me about a website where you can buy Masters Merchandise, called MMO Golf, so I made a mental note and continued my game. Once I got home, I ran to the computer and found the site. Sure enough they had everything I ever wanted and more from The Masters, from pin flags and memorabilia to golf clothing for both men and women. 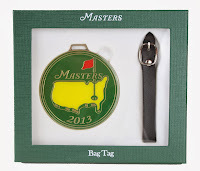 I dug around the site for a while, loaded up my shopping cart with Masters ball markers, a Masters golf polo for me, a wind shirt for my husband and a couple of caddy hats for friends and family. A couple of items that I really wanted, like the Ladies Pink Caddy hat and the Masters Golf bag were not available so I called the number listed on their site to find out a little about the company and how I could get these items. The customer service lady on the phone explained to me how the website is a shopping service and goes to the tournament every year in Augusta, Georgia, selling the items online to people like me who cannot attend the tournament. They use their tickets to go in (watch the tournament, of course...who wouldn't?) and purchase Masters Merchandise straight from the Augusta National Pro Shop. MMO Golf Inc. doesn't manufacture any merchandise and only buys directly from the Pro Shop and then makes items available to the public on their website. 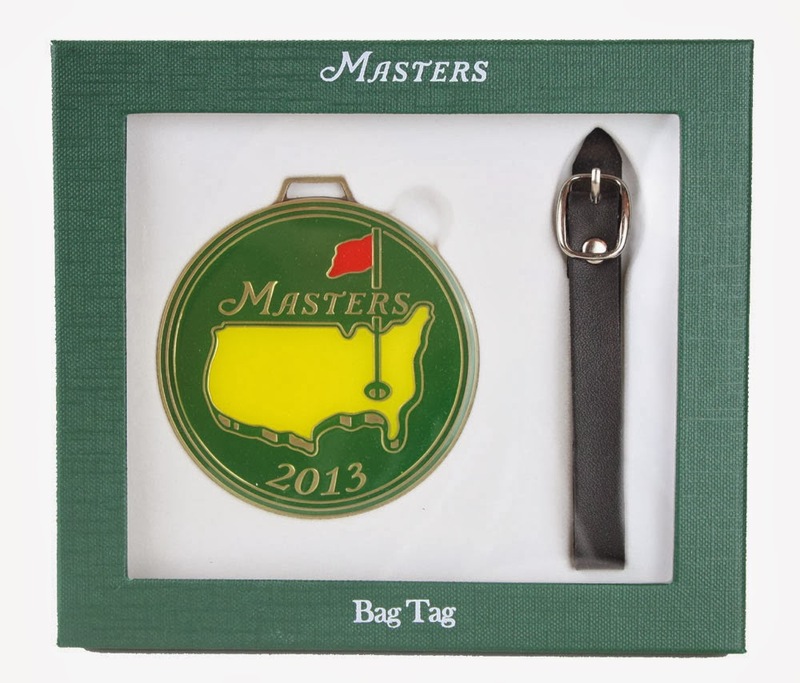 Pre-orders are taken in February; the site then acts as a personal shopper to get the Masters Merchandise requested. I thanked her for providing this service for the “uninvited” golf enthusiast like myself and told her I would be calling back in February to surprise my husband with a Masters Golf Bag for his birthday. 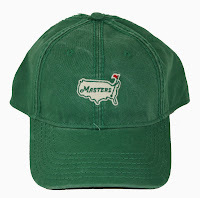 You bet every year I will continue to enter the lottery for an invitation to The Masters, but at least in the meantime, I can wear my Masters Caddy hat proudly and have others envy me! Mary Roberts is a busy mom of 4 boys. When she isn’t driving her boys to sports practices, cooking dinner, cleaning the house, or doing the bookkeeping for her husband’s business, she enjoys photography, kayaking and playing golf with her husband. Mary's passion is creative writing, but knows she will never have time to really sit and brainstorm until her boys go off to college. Roberts majored in Mass Communications at the University of South Florida. 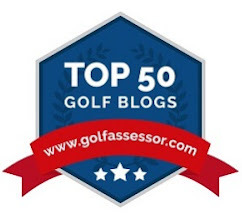 Interested in writing a guest blog for Golf for Beginners? Email us at golfforbeginners@aol.com. Voice your opinion on Twitter @Golf4Beginners and Like Golf for Beginners on Facebook.